Pancreatic beta cell destruction in type 1 diabetes may be mediated by cytokines such as IL-1β, IFN-γ and TNF-α. Endoplasmic reticulum (ER) stress and nuclear factor-κB (NFκB) signalling are activated by cytokines, but their significance in beta cells remains unclear. Here, we investigated the role of cytokine-induced ER stress and NFκB signalling in beta cell destruction. Isolated mouse islets and MIN6 beta cells were incubated with IL-1β, IFN-γ and TNF-α. The chemical chaperone 4-phenylbutyric acid (PBA) was used to inhibit ER stress. Protein production and gene expression were assessed by western blot and real-time RT-PCR. We found in beta cells that inhibition of cytokine-induced ER stress with PBA unexpectedly potentiated cell death and NFκB-regulated gene expression. These responses were dependent on NFκB activation and were associated with a prolonged decrease in the inhibitor of κB-α (IκBα) protein, resulting from increased IκBα protein degradation. Cytokine-mediated NFκB-regulated gene expression was also potentiated after pre-induction of ER stress with thapsigargin, but not tunicamycin. Both PBA and thapsigargin treatments led to preferential upregulation of ER degradation genes over ER-resident chaperones as part of the adaptive unfolded protein response (UPR). In contrast, tunicamycin activated a balanced adaptive UPR in association with the maintenance of Xbp1 splicing. These data suggest a novel mechanism by which cytokine-mediated ER stress interacts with NFκB signalling in beta cells, by regulating IκBα degradation. The cross-talk between the UPR and NFκB signalling pathways may be important in the regulation of cytokine-mediated beta cell death. The online version of this article (doi: 10.1007/s00125-012-2657-3) contains peer-reviewed but unedited supplementary material, which is available to authorised users. 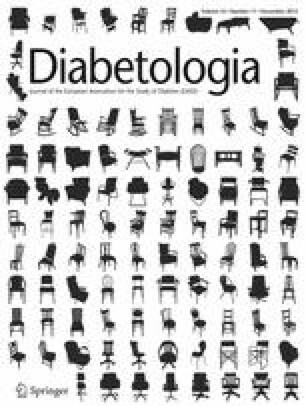 Type 1 diabetes results from the autoimmune-mediated dysfunction and destruction of pancreatic islet beta cells. Macrophages and T cells infiltrate islets and secrete proinflammatory cytokines, such as IL-1β, IFN-γ and TNF-α. These cytokines are suspected mediators of beta cell dysfunction and death in type 1 diabetes, although the mechanisms remain unclear [1, 2, 3]. Exposure of beta cells to proinflammatory cytokines leads to activation of multiple signalling networks. Nuclear factor-κB (NFκB) has been identified as a key regulator of transcription factors and gene networks controlling cytokine-induced beta cell dysfunction and death [4, 5, 6]. NFκB is formed as a homo- or hetero-dimer comprising p50, p52 and p65 subunits, and is sequestered in the cytoplasm of unstimulated cells as an inactive complex with inhibitor of κB-α (IκBα) protein . Phosphorylation of IκBα by IκB kinase (IKK) leads to their ubiquitination and proteasomal degradation for NFκB activation. Activation of NFκB leads to changes in expression patterns of many pro- and anti-apoptotic genes, including iNos, Sod2, Fas, Ccl2 and IκBα. Cytokine-induced NFκB activation also leads to the downregulation of the endoplasmic reticulum (ER) Ca2+ pump, SERCA2b . This results in depletion of ER calcium stores and disruption of ER function. Newly synthesised secretory and membrane proteins are folded, processed and trafficked in the ER. Successful production of maturely folded proteins by the ER requires a variety of chaperones and foldases, while the targeting and degradation of misfolded proteins are facilitated by components of the ER-associated degradation (ERAD) pathway. ER stress is a condition in which misfolded proteins accumulate in the ER as the result of disrupted ER function [9, 10, 11]. The sensing of ER stress by the transmembrane proteins protein kinase RNA-activated (PKR)-like ER kinase (PERK), activating transcription factor 6 (ATF6), and inositol-requiring enzyme 1α (IRE1α), initiates signalling cascades collectively known as the unfolded protein response (UPR). The aim of the UPR is to restore ER homeostasis. This is achieved by a number of coordinated responses including: (1) inhibition of protein translation to reduce overload of the ER; (2) increased production of ER chaperones and foldases to augment protein-folding activity; and (3) upregulation of ERAD components to enhance protein elimination by the proteasome. Failure of these adaptive responses to restore ER homeostasis leads to a switch in UPR signalling to pro-apoptosis pathways, which can act through C/EBP homologous protein (CHOP) and Jun N-terminal kinase (JNK) [9, 10, 11]. Since ER stress is capable of inducing apoptosis in beta cells [10, 11], its potential involvement in cytokine-mediated beta cell death in type 1 diabetes has been widely investigated [8, 10, 12, 13, 14, 15, 16, 17, 18, 19, 20, 21, 22, 23, 24, 25]. Cytokine-stimulated beta cells are characterised by suppression of the adaptive UPR, which may contribute to a lowering of defence mechanisms and activation of the proapoptotic UPR [24, 26]. However, the ultimate fate of beta cells exposed to cytokines is likely to be influenced by the many signalling networks that are activated and the complex interactions between these systems. Very little is known about the nature of these interactions, or how they affect beta cell survival during cytokine attack. In this study, we identified a novel interaction between the UPR and the NFκB signalling pathway in cytokine-exposed beta cells. We made the unexpected finding that inhibition of ER stress with the chemical chaperone 4-phenylbutyric acid (PBA) potentiated cytokine-mediated beta cell death, and that this was due to NFκB activation and prolonged degradation of IκBα. Further analysis indicated that, rather than the presence or absence of ER stress, this response was associated with preferential activation of protein-degradation components of the adaptive UPR. These findings suggest that the balance of the adaptive UPR is critically important for NFκB activation and cell survival in cytokine-stimulated beta cells. MIN6 cells and islets isolated from adult C57BL/6J mice (Australian BioResources, Moss Vale, NSW, Australia) were cultured as previously described . Procedures were approved by the Garvan Institute/St Vincent's Hospital Animal Experimentation Ethics Committee. Cells and islets were treated with 100 U/ml IL-1β, 250 U/ml IFN-γ and 100 U/ml TNF-α (R&D Systems, Minneapolis, MN, USA). PBA (2.5 mmol/l) and pyrrolidine dithiocarbamate (PDTC; 50 μmol/l) plus Bay 11-7082 (10 μmol/l) (Sigma, St Louis, MO, USA) were used to inhibit ER stress and NFκB signalling pathways, respectively. Thapsigargin (Tg; 50 nmol/l) and tunicamycin (Tm; 1 μg/ml) (Sigma) were used to activate ER stress signalling. BMS-345541 (IKKi, 50 μmol/l) and MG132 (10 μmol/l) (Sigma) were used to inhibit the activities of IKK and the proteasome. Cell death was determined with the use of a Cell Death Detection ELISA (Roche Diagnostics, Castle Hill, NSW, Australia) . Western blotting was performed as previously described . The following antibodies were used (1:1,000 dilution unless otherwise indicated): CHOP (sc-575) and total eukaryotic translation initiation factor 2 α subunit (EIF2α) (sc-11386) (Santa Cruz Biotechnology, Santa Cruz, CA, USA); phospho-PERK (Thr980, 16F8, 3179), phospho-EIF2α (Ser51, 9721), phospho-JNK (Thr183/Tyr185, 9251), total JNK (9252) and total IκBα (9242) (Cell Signalling Technology, Danvers, MA, USA); and β-actin (1:5,000; Sigma). Real-time PCR was performed as previously described . Primer sequences are provided in electronic supplementary material (ESM) Table 1. The value obtained for each specific product was normalised to a control gene (cyclophilin A) and expressed as a fold change of the value in control extracts. Xbp1 splicing was assessed as previously described . All results are presented as means ± SEM. Statistical analyses were performed using one-way ANOVA. We first tested whether PBA was capable of attenuating ER stress induced by cytokines in MIN6 cells. PBA has been found to have chaperone-like activity, although the exact mechanism of action is not fully understood . In control MIN6 cells, treatment with the combination of proinflammatory cytokines (IL-1β + TNF-α + IFN-γ) for 24 h resulted in activation of ER stress, as evidenced by the increased phosphorylation of PERK (Fig. 1a, b) and EIF2α (Fig. 1a, e). The downstream proapoptotic protein, CHOP (Fig. 1a, f), was increased after cytokine treatment, as was the phosphorylation of JNK1 (46 kDa) (Fig. 1a, c) and JNK2 (54 kDa) (Fig. 1a, d). Activation of the UPR by cytokines was confirmed by increased mRNA expression of Atf4 (Fig. 1g) and Chop (also known as Ddit3) (Fig. 1h). Co-treatment of MIN6 cells with PBA inhibited cytokine-induced ER stress, as indicated by reduced phosphorylation of PERK (Fig. 1a, b) and EIF2α (Fig. 1a, e), decreased protein levels of CHOP (Fig. 1a, f) and mRNA expression of Atf4 (Fig. 1g) and Chop (Fig. 1h). The phosphorylation of JNK1/2 (Fig. 1a, c, d) was not affected by PBA treatment, indicating that cytokine-induced JNK1/2 activation is not solely a marker of ER stress. We tested whether the reduction in UPR activation caused by PBA affected cytokine-induced beta cell death. In control MIN6 cells, cytokine treatment led to a significant increase in cell death (Fig. 1i). Surprisingly, cytokine-induced beta cell death was further increased after co-treatment with PBA (Fig. 1i). This suggests that the inhibition of ER stress with PBA potentiates cytokine-induced cell death in MIN6 cells. We also tested in isolated mouse islets whether PBA altered the sensitivity of primary beta cells to cytokine-induced cell death. In accordance with the results in MIN6 cells, cytokine-induced cell death was significantly increased in mouse islets that were treated with cytokines + PBA compared with cytokines alone (Fig. 1j). Because NFκB activation may play an important regulatory role in cytokine-mediated beta cell death [5, 6], we tested whether PBA treatment affected NFκB-regulated gene expression. In control MIN6 cells, treatment with cytokines for 24 h resulted in increased mRNA expression of genes known to be regulated by NFκB, namely iNos (Fig. 2a), Ccl2 (Fig. 2b), Fas (Fig. 2c), IκBα (Fig. 2d) and Sod2 (Fig. 2e). Cytokine treatment resulted in downregulation of Serca2b (also known as Atp2a2) (Fig. 2f), which is a known effect of NFκB activation . Strikingly, the cytokine-stimulated changes in gene expression were potentiated in cells that were co-treated with PBA; the mRNA levels of iNos (Fig. 2a), Ccl2 (Fig. 2b), Fas (Fig. 2c), IκBα (Fig. 2d) and Sod2 (Fig. 2e) were further increased in cells treated with cytokines + PBA compared with cytokines alone. In addition, Serca2b mRNA levels were further reduced in cells treated with PBA (Fig. 2f). Similar results were found in mouse islets (ESM Fig. 1). These observations suggest that PBA treatment of beta cells leads to the potentiation of cytokine-stimulated changes in NFκB-regulated gene expression, thus providing evidence of novel cross-talk between the UPR and NFκB signalling pathways. We also tested whether PBA treatment affects the ability of cytokines to inhibit glucose-stimulated insulin secretion and suppress the expression of genes involved in beta cell function. Cytokine-mediated inhibition of glucose-stimulated insulin secretion was potentiated in MIN6 cells that were co-treated with PBA (ESM Fig. 2a). This was not due to further reductions in expression of the insulin gene; conversely, PBA treatment protected against the cytokine-mediated downregulation of insulin mRNA levels (ESM Fig. 2b). PBA treatment also increased the expression of the islet-associated transcription factor, Pdx1 (ESM Fig. 2c). On the other hand, the ability of PBA to potentiate cytokine-mediated beta cell dysfunction was associated with suppression of the beta cell-associated glucose transporter, Glut2, and transcription factor, MafA (ESM Fig. 2d, e). Glut2 and MafA mRNA levels were reduced further in MIN6 cells that were co-treated with cytokines + PBA compared with cytokines alone (ESM Fig. 2d, e). Interestingly, the downregulation of both Glut2 and MafA is known to be dependent on NFκB activation, providing further evidence of an important relationship with the UPR signalling pathway. NFκB activity has previously been shown to regulate the expression of Chop in beta cells [4, 23], and that CHOP plays a role in cytokine-induced apoptosis [12, 23]. To assess the role of CHOP in our model of cytokine-stimulated cell death and NFκB-regulated gene expression, MIN6 cells were transfected with siRNA against Chop or control siRNA. Reduced cytokine-mediated Chop expression was observed in MIN6 cells transfected with Chop siRNA (ESM Fig. 3a). However, siRNA-mediated reduction of Chop expression had no effect on the cytokine-induced changes in the expression of NFκB-regulated genes iNos, Ccl2, Fas, IκBα, Sod2 or Serca2b (ESM Fig. 3b–g) or in cell death (ESM Fig. 3h). This suggests that Chop expression alone does not affect cytokine-stimulated cell death or NFκB-regulated gene expression. We next tested whether the ability of PBA to potentiate changes in cytokine-stimulated gene expression and cell death was dependent on NFκB activation using the NFκB inhibitors PDTC and Bay 11-7082 . In MIN6 cells treated overnight with PBA and then in combination with cytokines for 6 h, the mRNA levels of iNos (Fig. 3a), Ccl2 (Fig. 3b), Fas (Fig. 3c) and Sod2 (Fig. 3d) were significantly increased compared with cells treated with cytokines alone. This PBA-mediated potentiation of cytokine-induced gene expression was completely blocked after inhibition of NFκB activation with PDTC (Fig. 3a–d) or Bay 11-7082 (ESM Fig. 4a–d). Similarly, the ability of PBA to potentiate cytokine-induced cell death was inhibited after treatment of cells with PDTC (Fig. 3e) or Bay 11-7082 (ESM Fig. 4e). These observations suggest that the PBA-mediated potentiation of NFκB-regulated gene expression and cell death in response to cytokines results from increased NFκB activation or a pathway that depends on NFκB to be manifested. We assessed the degradation and subsequent replenishment of IκBα protein after cytokine treatment in control and PBA-pretreated MIN6 cells. In control and overnight PBA-pretreated cells, cytokine exposure for 20 min led to similar decreases in IκBα protein (Fig. 4a, b). At subsequent time points, IκBα protein levels were progressively replenished in control cells, whereas they remained suppressed in cells precultured with PBA (Fig. 4a, b). This indicates that the enhanced activation of NFκB in PBA-treated cells is associated with delayed replenishment of its inhibitory protein, IκBα. This PBA-dependent delay in IκBα protein replenishment was reversed when IKK and proteasome inhibitors were added (Fig. 4c, d). This demonstrates that the delay in IκBα protein replenishment in PBA-treated cells results from increased protein degradation rather than reduced translation of IκBα. Tg and Tm are common agents used for ER stress induction. Their mechanisms of action differ: Tg depletes ER calcium stores, whereas Tm inhibits N-glycosylation of proteins. We tested whether the induction of ER stress with Tg or Tm influenced the sensitivity of MIN6 cells to cytokine-stimulated NFκB-regulated gene expression. MIN6 cells were pretreated overnight with Tg or Tm and then exposed to cytokines for 6 h. Strikingly, induction of ER stress with Tg potentiated the cytokine-stimulated increases in iNos (Fig. 5a), Ccl2 (Fig. 5b), IκBα (Fig. 5c) and Sod2 (Fig. 5d) mRNA levels. In contrast, after the induction of ER stress with Tm, the cytokine-stimulated increases in NFκB-regulated gene expression levels were similar to the control (Fig. 5a–d). This demonstrates that ER stress induction can potentiate cytokine-stimulated NFκB-regulated gene expression, but this response depends on the stressor. We tested whether ER stress induction with Tg or Tm affected the degradation or replenishment of IκBα protein after cytokine exposure. In control, Tg- and Tm-treated cells, cytokine exposure for 20 min led to similar decreases in IκBα protein (Fig. 5e, f). At subsequent time points, IκBα protein levels progressively increased in control cells, whereas they remained suppressed in cells pretreated with Tg (Fig. 5e, f). In cells pretreated with Tm, they displayed a significant time-dependent increase (p < 0.05), but at slightly lower levels than in control cells at 60 min (Fig. 5e, f). These findings suggest that Tg-induced ER stress is associated with suppression of IκBα protein replenishment following cytokine exposure. On the other hand, IκBα protein levels are replenished after Tm-induced ER stress, although at a slightly delayed rate. Taken together, the studies indicate that the differential effects of ER stress inducers on potentiation of cytokine-stimulated NFκB-regulated gene expression are associated with their ability to suppress IκBα protein replenishment. Furthermore, similar effects were observed after both ER stress induction (Tg treatment) and inhibition (PBA treatment). We next examined the influence of PBA on the pattern of adaptive UPR gene expression in control and cytokine-treated MIN6 cells. Cytokine activation of the UPR in beta cells is characterised by uniform suppression of the adaptive UPR [24, 26]. Consistent with this, treatment of MIN6 cells with cytokines for 24 h resulted in decreased mRNA expression of adaptive UPR genes, such as Bip (Fig. 6a), Grp94 (Fig. 6b), Orp150 (also known as Hyou1) (Fig. 6c), Erp72 (also known as Pdia4) (Fig. 6d), Herpud1 (Fig. 6e), p58 (also known as Dnajc3) (Fig. 6f), Edem1 (Fig. 6g) and Fkbp11 (Fig. 6h). Interestingly, co-treatment of MIN6 cells with PBA either potentiated or maintained the cytokine-mediated downregulation of ER chaperones (Bip, Grp94 and Orp150) and foldases (Erp72 and Herpud1) (Fig. 6a–e). In contrast, the expression of genes involved in facilitating protein degradation (p58, Edem1 and Fkbp11) was increased in PBA-treated cells (Fig. 6f–h). Similar results were found in mouse islets (ESM Fig. 5). These findings indicate that PBA preferentially activates degradation pathways of the UPR while potentiating the cytokine-mediated downregulation of ER-resident chaperones and foldases. This altered expression pattern of the adaptive UPR is associated with the potentiated cytokine activation of NFκB. Overnight culture of MIN6 cells with Tg and Tm resulted in increased expression of genes involved in the adaptive UPR, including the chaperone (Bip, Grp94 and Orp150), foldase (Erp72 and Herpud1) and degradation (p58, Edem1 and Fkbp11) components (Fig. 7a–h). However, the pattern of response differed markedly between the ER stressors. These differences were maintained after subsequent exposure of cells to the combination of cytokines (IL-1β + TNF-α + IFN-γ) for 6 h (Fig. 7a–h). Tm treatment induced a balanced adaptive UPR, with similar ∼3–4-fold increases in the expression levels of chaperone, foldase and degradation components. In contrast, Tg treatment induced an imbalanced adaptive UPR, with preferential activation of the protein degradation pathway. Tg treatment induced significantly smaller increases in chaperones and foldases (Fig. 7a–f), but equivalent increases in the degradation components, Edem1 and Fkbp11 (Fig. 7g, h) compared with Tm treatment. The similar responses observed after ER stress induction (Tg treatment) and inhibition (PBA treatment) suggest that the pattern of UPR gene expression, rather than the presence or absence of ER stress, is critically important in the regulation of cytokine-induced NFκB activity. The transcription factor XBP1 regulates the expression of many adaptive UPR genes [29, 30]. As expected, Xbp1 splicing (activation) was reduced after cytokine treatment in control MIN6 cells (Fig. 8). In cytokine-treated cells cocultured with PBA or Tg, Xbp1 splicing remained suppressed (Fig. 8). In contrast, cells co-treated with Tm were protected against the cytokine-mediated reduction in Xbp1 splicing (Fig. 8). These findings demonstrate a clear association in PBA- and Tg-treated cells between suppression of Xbp1 splicing, an imbalanced pattern of adaptive UPR gene expression, and potentiated NFκB activity and cell death (Fig. 9). The upregulation of Xbp1 splicing in Tm-treated cells is associated with a balanced UPR and typical NFκB activity after cytokine exposure (Fig. 9). Proinflammatory cytokines such as IL-1β, TNF-α and IFN-γ activate ER stress and NFκB signalling pathways, both of which have been implicated as possible mediators of beta cell death in type 1 diabetes. Here, we investigated the role of these signalling events in beta cell death. Beta cells treated with the ER stress-inhibiting agent, PBA, displayed further increases in cytokine-mediated beta cell death and NFκB-regulated gene expression. This occurred after an increase in the degradation of IκBα protein, which results in prolonged NFκB activation. However, the relationship between ER stress and NFκB signalling does not depend solely on ER stress activation. Treatment of cells with the ER stress inducer Tg, but not Tm, also resulted in potentiated NFκB-regulated gene expression in association with suppression of IκBα protein replenishment. Gene expression analysis revealed this to be dependent on the pattern of the adaptive UPR activated in response to these agents. A balanced adaptive UPR, which is associated with enhanced XBP1 activation, protects against hyperactivation of NFκB. An adaptive UPR that favours protein degradation over protein folding is associated with reduced XBP1 activation. This novel interaction between adaptive UPR and NFκB signalling pathways has important implications for the understanding and treatment of type 1 diabetes. The mechanisms that coordinate the adaptive UPR are poorly understood. Selective activation (or selective perpetuation) of signalling through the various arms of ER stress transduction has been proposed to regulate the switch between adaptive and apoptotic UPR signalling . Perhaps similar mechanisms regulate the independent components within the adaptive UPR. The present study suggests that XBP1 activation may play a role regulating the balance between protein folding and degradation in cytokine-stimulated beta cells. This may also be relevant for nutrient-induced UPR activation in beta cells [32, 33]. However, coordination with the other branches of ER stress signalling, including XBP1-independent IRE1α activity, is crucial for the UPR irrespective of the stimulus. In line with this, experimental manipulation of XBP1 activation alone has profound effects on the UPR as well as on the optimisation of beta cell gene expression, insulin secretion and apoptosis [20, 34]. ER stress-independent factors, including JNK [24, 35], DP5 , JunB , Mcl-1  and PPARγ , may also influence cytokine activation of the UPR in beta cells. These factors may act independently of effects on inducible nitric oxide synthase transcription and nitric oxide production, which is a key regulator of the UPR in cytokine-stimulated beta cells [8, 12, 24]. The contribution of the UPR to cytokine-mediated apoptosis in beta cells may depend on the complex interactions of many ER stress-dependent and -independent signalling networks, which are in turn regulated by the severity and duration of cytokine exposure. Reflective of this may be the conflicting findings among studies examining the effect of reducing CHOP on cytokine-induced apoptosis [12, 15, 23]. The present study suggests that the balance within the adaptive UPR and its influence on the NFκB signalling network is an important additional regulatory mechanism for beta cell survival. This study suggests a novel interaction of the adaptive UPR with the NFκB signalling pathway via regulation of IκBα degradation (Fig. 9). The interaction is dependent on the nature of the UPR and is evident after either ER stress activation or inhibition. Thus, rather than forming an archetypal feedback loop between NFκB activation and ER stress induction, the response is observed under conditions of an imbalanced adaptive UPR, with preferential activation of the protein-degradation components. Increased IκBα degradation is facilitated by enhanced proteasomal activity, which is highly dependent on the ERAD network. This is distinct from the previously reported mechanisms by which ER stress activates NFκB via the PERK–eIF2α pathway [36, 37, 38] or by IRE1-mediated activation of TNF receptor-associated factor 2 [39, 40]. Interestingly, an increase in ER stress markers and NFκB target genes has been observed in islets of diabetic NOD mice in the prediabetic period , raising the possibility that interaction between the pathways is important in the development of type 1 diabetes. Restoring ER homeostasis with chemical chaperones has emerged as a novel therapeutic approach for many diseases that involve ER stress. The mechanism of action of chemical chaperones is not fully understood . Our findings suggest that part of the mechanism whereby PBA may alleviate ER stress is by enhancing the expression of genes involved in ERAD. However, the associated activation of the proteasome may affect protein degradation more broadly, and thus influence other cellular processes. Because of the effect on IκBα degradation and subsequent NFκB activation, our studies indicate that, under conditions of inflammation, this may have a profound influence on cell survival. Many of the diseases of protein misfolding and ER stress also involve, or are accompanied by, inflammation. This may be relevant in both type 1 and type 2 diabetes and in obesity . Thus our findings illustrate an important consideration for the therapeutic use of chemical chaperones in the treatment of these diseases. Future studies should assess the effects of ER stress inhibitors on UPR status (i.e. the pattern of adaptive and proapoptotic UPR components) rather than the mere presence or absence of ER stress. ER stress and the ensuing UPR have been implicated in various inflammatory conditions, probably arising from the increased demand for the production and secretion of proteins such as cytokines and viral proteins . Active NFκB signalling is indicative of the presence of inflammation in the cell vicinity to help cytokines and immune cells to clear the infection. Activation of NFκB signalling leads to the production of cytokines that are capable of inducing an ER stress response with a suppressed adaptive UPR. This approach may help in the action of cytokines and immune cells to contain the production of infectious antigens. However, this strategy also limits the yield of other cellular proteins that are essential for survival. Therefore cellular functions need to be maintained in this situation by concurrent suppression of the degradative machinery. Interventions that alter this balance in the adaptive UPR can result in a different cellular response. In an inflammatory environment, favouring protein degradation over protein folding can lead to increased proteasome activity and loss of cellular proteins over time. Simultaneous activation of NFκB in a beta cell can be influenced by this increased proteasome activity because of the continual loss of IκBα protein. Although NFκB signalling is pro-survival in immune cells, it can be apoptotic in beta cells . Hence, a switch in the balance of the UPR to favour NFκB activation can lead to potentiated beta cell death. This interaction between UPR and NFκB signalling may represent an opportunity for the development of new treatments for inflammatory conditions including type 1 diabetes. This work was supported by grants from the Juvenile Diabetes Research Foundation (JDRF) and the National Health and Medical Research Council (NHMRC) of Australia. All authors contributed to the conception and design, analysis and interpretation of data, and the drafting of the article or its critical revision. All authors gave approval of the version to be published.